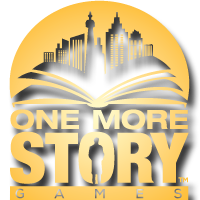 One More Story Games‘ StoryStylus software was designed to let writers create their own interactive fiction, putting the tools to create mystery games into the hand of anyone who wanted to try it out. To show how useful their tool is, they’ve gotten Charlaine Harris, author of the Sookie Stackhouse books (known as True Blood when adapted for HBO), to join with them to adapt one of her novels, Shakespeare’s Landlord, into one of their interactive story games. Development has only just begun, but if you feel a craving to start figuring out why a killer is framing the story’s main character for murder, you can sign up for the chance to be an early tester or see some behind-the-scenes development information by signing up on the game’s site. For more information on Shakespeare’s Landlord and One More Story Games, you can head to the developer’s site, the game’s site, or follow them on Facebook, YouTube, and Twitter. You can also follow the story’s author, Charlaine Harris, on her site.